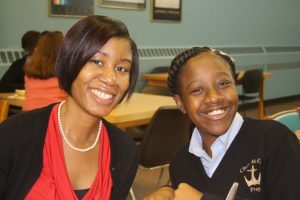 For over 25 years, our program has stood out for its unique combination of mentoring and tuition assistance for urban high school students in northern New Jersey. 99% of our students graduate from high school and are accepted into college, thereby providing a critical step towards breaking the cycle of poverty. We have provided over 2,000 scholarships to NJ students over the past 25 years and have seen the power of mentoring as we have had a 100% high school graduation rate and college admission rate over the past 6 years. There are many ways that you can volunteer your time and resources with Student/Partner Alliance. We are a local, Summit non-profit with a focus on supporting urban high school students with a unique combination of mentoring and scholarships that sets our students up for success.